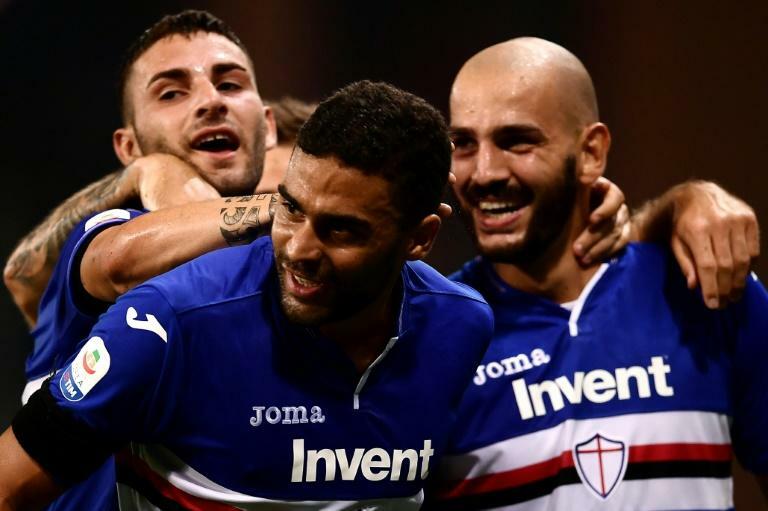 Carlo Ancelotti's Napoli suffered their first setback of the season on Sunday as a double strike from French forward Gregoire Defrel helped Sampdoria seal a shock 3-0 win over the Serie A runners-up. "We had the same start as the other two games, but this time we didn't manage to overturn it," said Ancelotti. "We again gifted them the first half with a bad attitude, especially on the opening goal. We went 1-0 down, got nervous and started to struggle." Defrel added a second on 32 minutes and veteran forward Qaugliarella compounded the visitors' misery with a back-heel volley on 75 minutes against his former club. The defeat means Napoli lose ground on Juventus, who despite Cristiano Ronaldo still waiting for his first goal, have three wins from three after Saturday's 2-1 success at promoted Parma. It also gives Ancelotti's side reason to worry ahead of tough upcoming Champions League fixtures against Paris Saint-Germain and Liverpool. "I don't think we need to change all that much, we just have to start games with more focus. 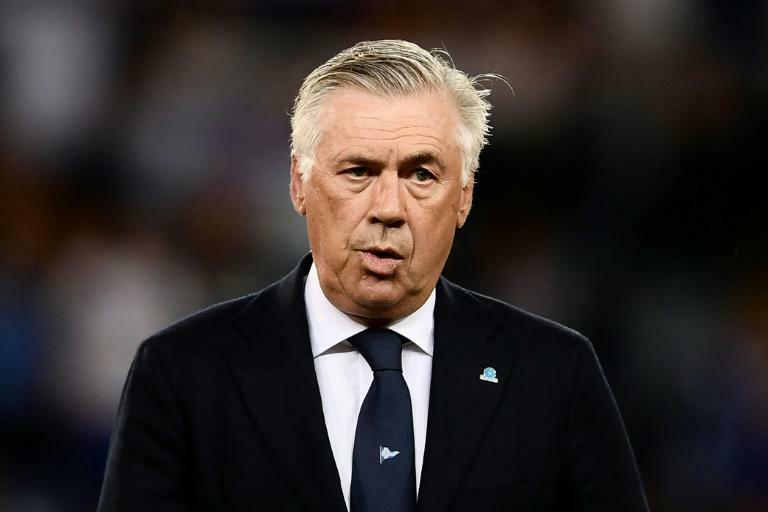 That attitude is unacceptable and we couldn't keep getting away with it," said Ancelotti who had no regrets about benching Hamsik and Callejon. "I wish they were the problem today, because that would mean it was my fault for making bad decisions, but the truth is it was a general attitude throughout the squad. We made very little of the full-backs too. "We did fight back in the second half. If I had a magic wand, I'd change the way we started. Intensity is fundamental and without that, the quality doesn't come through." Massimiliano Allegri's seven-time reigning champions sit top the Serie A table with nine points after three matches and are oozing confidence going into the international break. Fiorentina -- with a game in hand -- have a maximum six points from two games with Marco Benassi scoring the only goal in a win over Udinese after last week's 6-1 rout of Chievo. 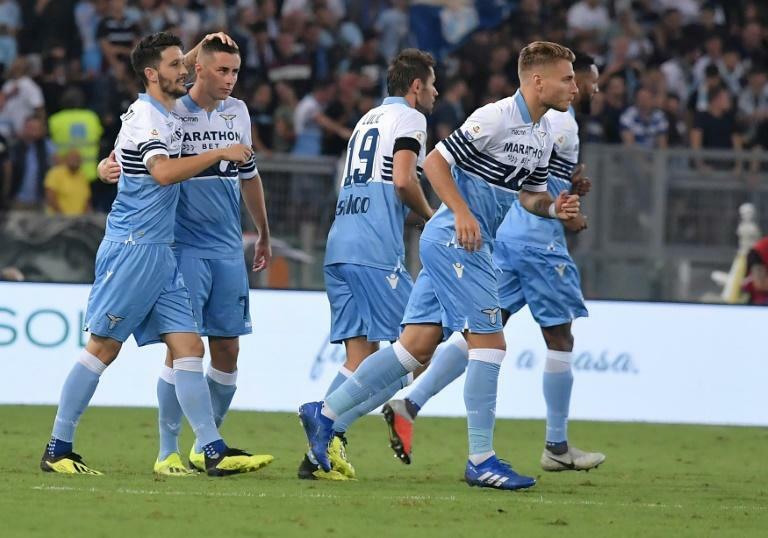 In Rome, Spanish midfielder Luis Alberto scored the only goal after 49 minutes to give Lazio their first win of the season over local rivals Frosinone. Atalanta followed their Europa League exit by falling 1-0 at home to Cagliari.